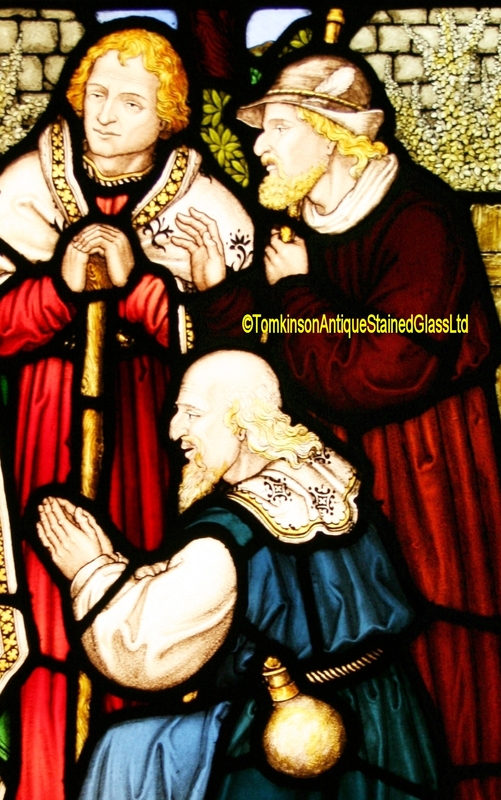 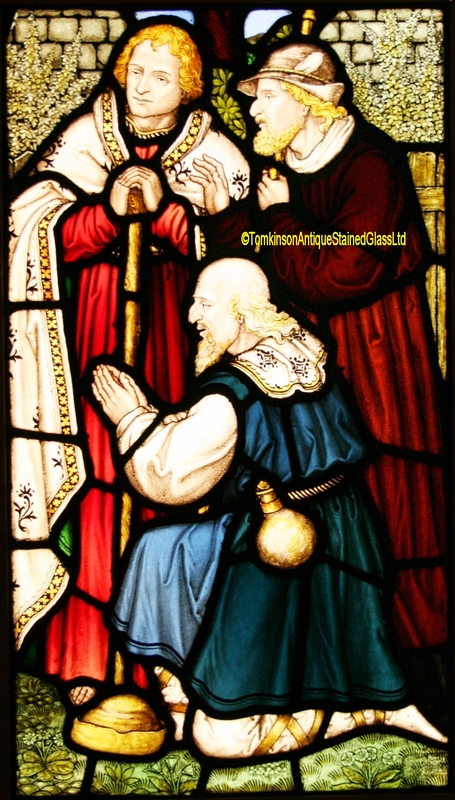 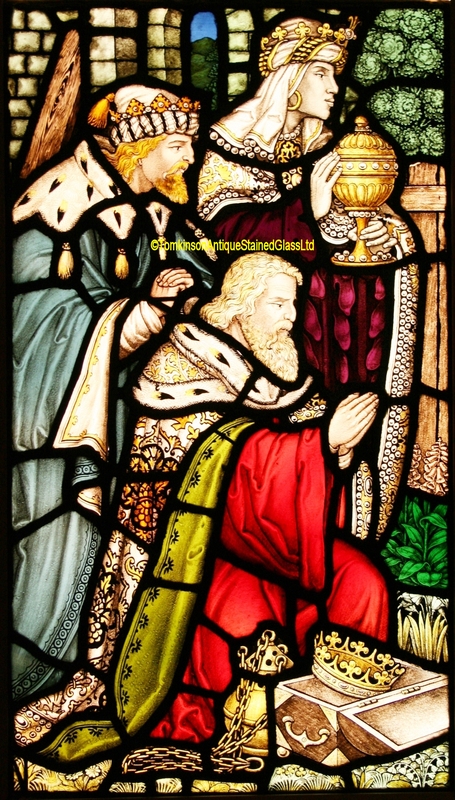 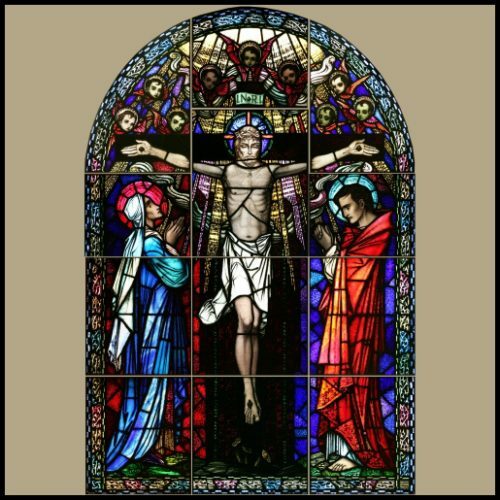 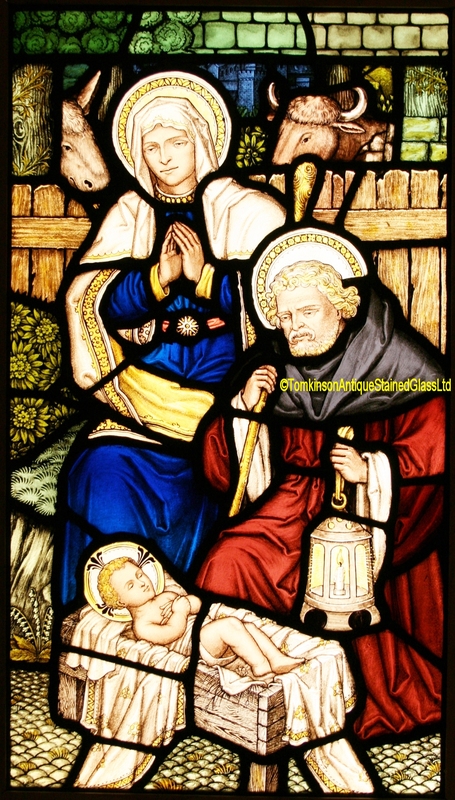 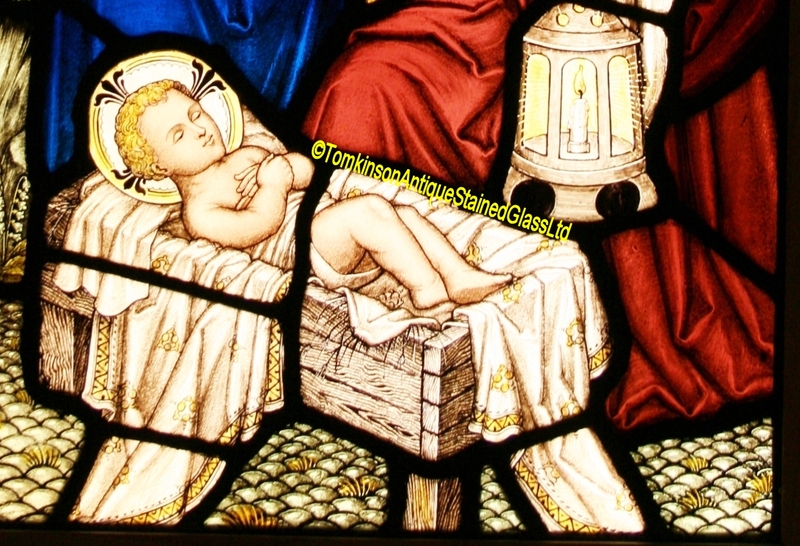 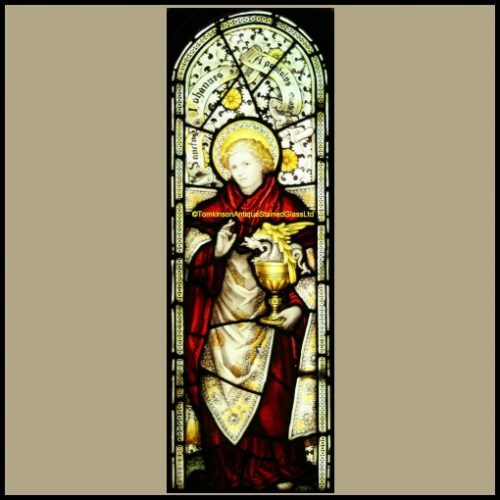 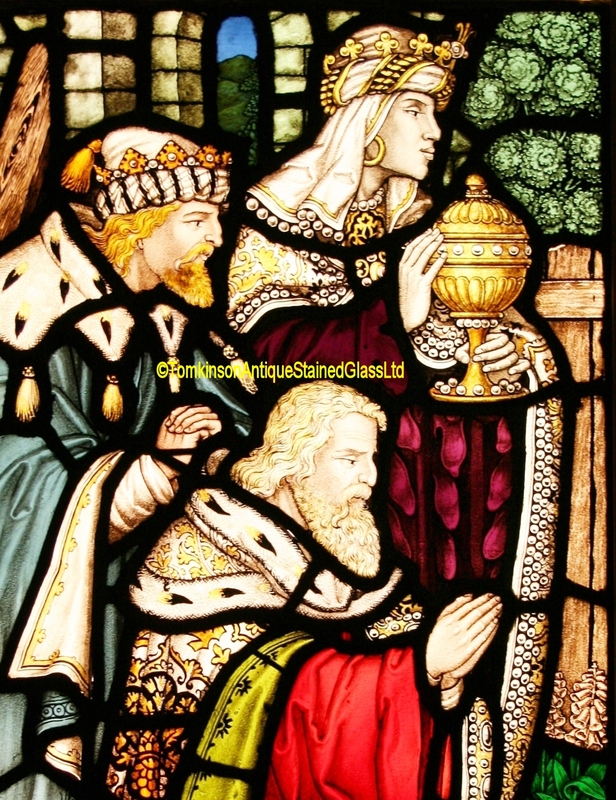 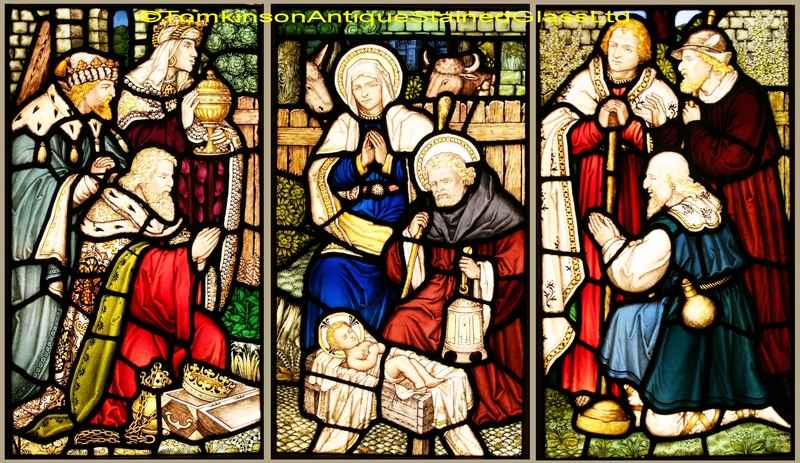 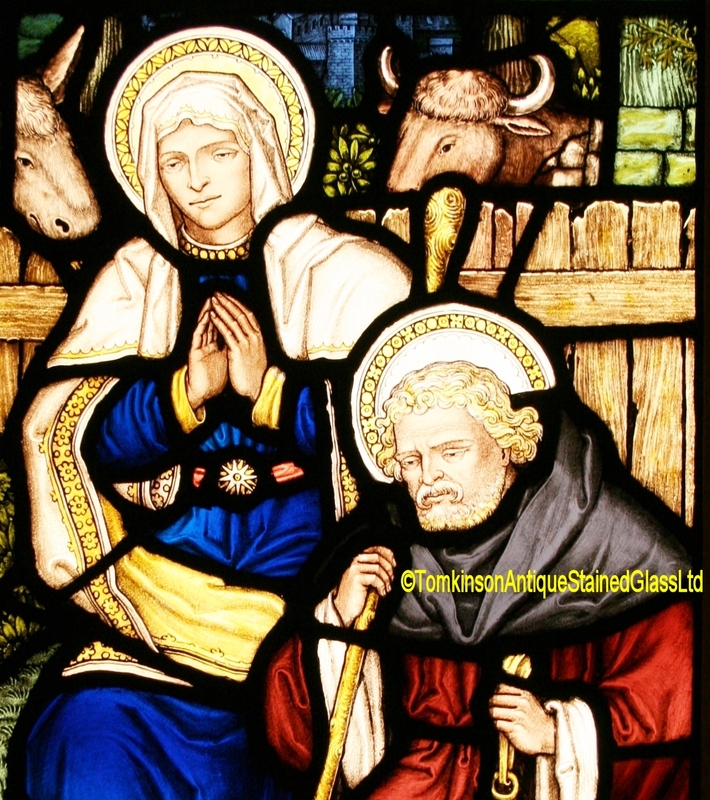 Triptych of large church stained glass panels, c1910, leaded with coloured glass hand painted depicting the Adoration of the Margi, the 3 Kings come to present gifts to the newborn baby Jesus at the Nativity, third panel depict 3 shepherds. 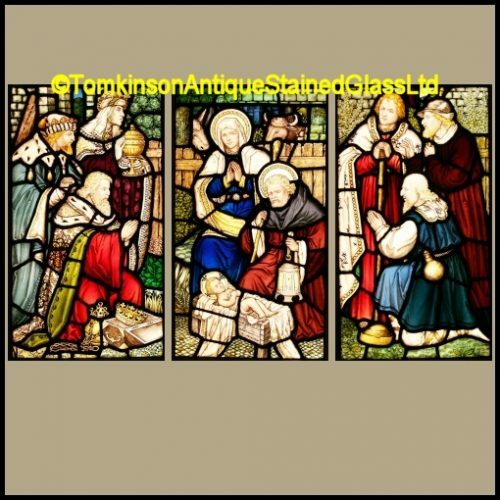 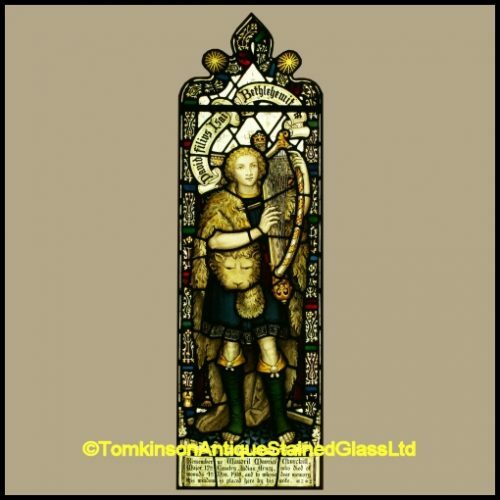 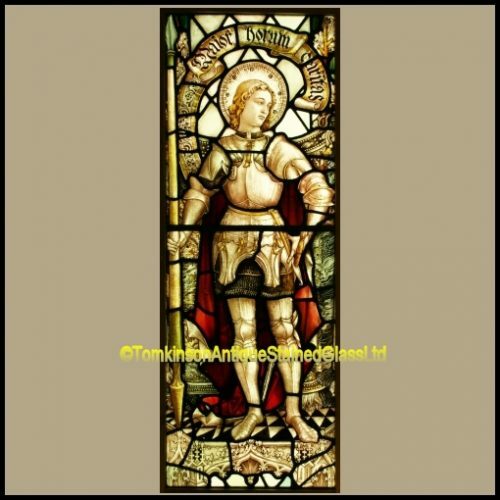 Stunning windows, excellent quality with vibrant colours and all in excellent original condition. 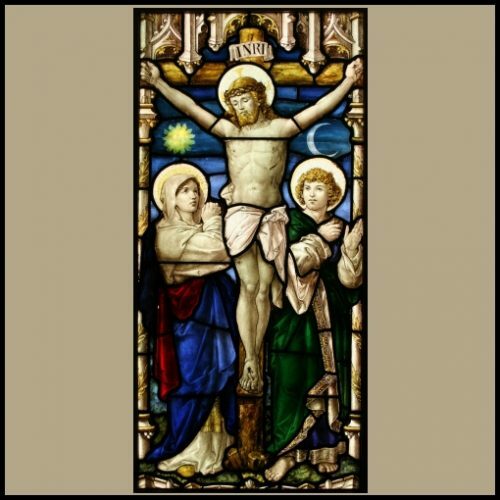 Signed bottom right of third window – Christopher C. Powell, F.R.S.A. 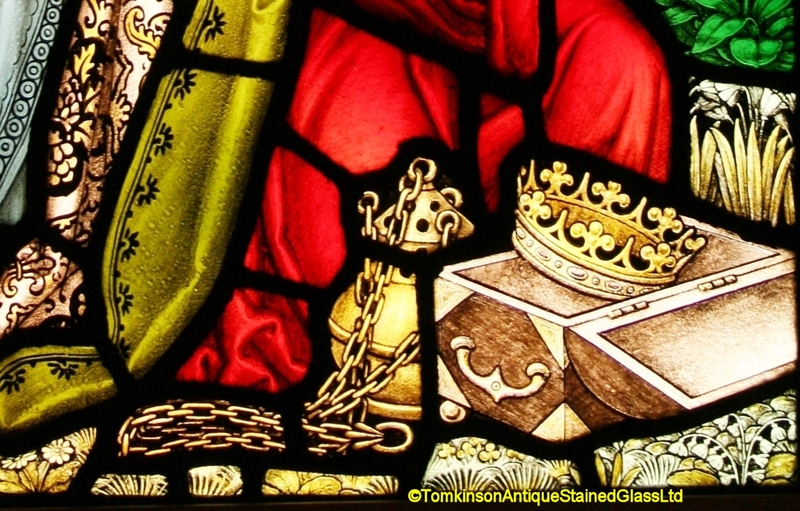 – F.B.S.M.G, 95 Claremont Road, Highgate (London) N.6.